I prepped my skin for bronzer with the Juice Beauty Serum Foundation in Sand and bit of rms beauty “un” powder in my T-zone and under my eyes. All of the included bronzers are on the fairly warm side (but not too orange), and I use them in a mix of the typical bronzer/contour role. Since getting my makeup done by W3ll People’s Shirley Pinkson, I have applied my bronzer typically in a C-shape along my cheekbones, in between where I would put blush and contour, sweeping up to my temples. I also use bronzer to contour my nose–it is a bit warm, but I don’t have anything cooler on hand so I don’t mind. When I’m lazy or feeling monochromatic, I’ll also apply bronzer as a cream eyeshadow, and here I’ve used a mix of the Vapour and W3ll People bronzers on my eyelids. Sidenote: I did swatch all the bronzers on my face in one morning, but I used Mychelle’s Micellar Water to clean off the bronzer from my face and reapplied foundation in between each different application. I layered each of the bronzers fairly heavily (three to five layers) in order to get them show on camera, but typically I wear them fairly lightly (two to three layers), which my face’s natural oils tend to eat up as the day goes. Vapour was one of the first green beauty brands I dipped into, but I’ve only ever tried their foundations. 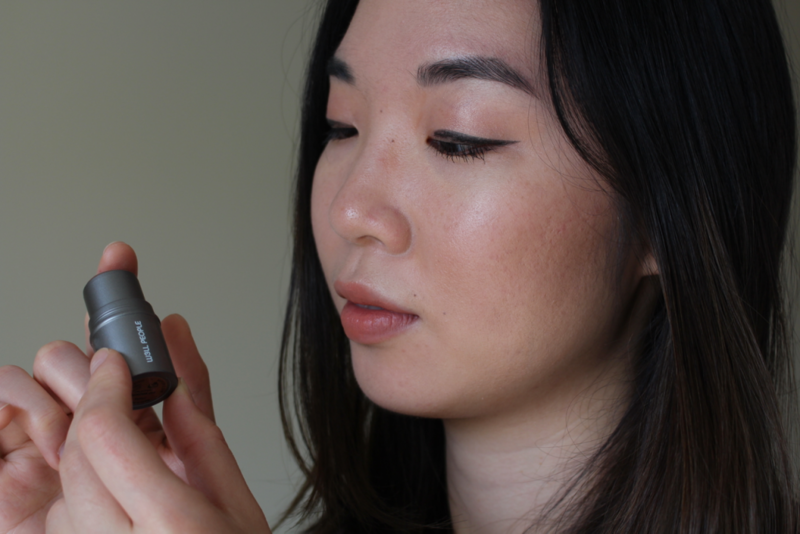 At that time, I hadn’t uncovered the balance of exfoliation and hydrating serums that my skin so loves now, which resulted in a very short affair with both the stick and liquid foundations. The Solar Translucent Bronzer is among those that are new to me, but I’ve enjoyed it for the past week that I’ve had it. The texture is a bit stiff and needs a bit of warming up before application, so I’d definitely recommend following the directions which say to first warm the product on the back of one’s hand before application. 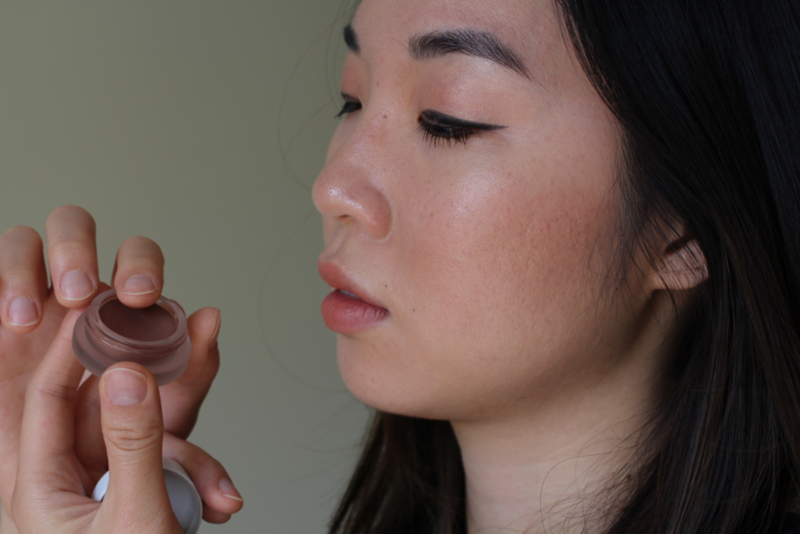 I like how the stick is fairly skinny and contains a fair amount of product (0.24oz/6.80g), so if I do want to apply straight from the stick, I can achieve a fairly precise application along my cheekbones or along the sides of my nose. Another plus for this one is that it comes in three shades: a pretty light highlighter-ish shade, the one pictured above, and a darker shade. For those of you who try to avoid coconut oil in their makeup, this would be a good choice–with sunflower seed oil at the top of the list. The product has a lot of moisturizing ingredients (sunflower seed oil, shea butter, beeswax) along with some nice extracts (pomegranate, tomato, acai berry). While I had not tried W3ll People’s Bio Bronzer in its cream form before last week, I have gone through the Bio Bronzer in powder form, which I did love when I mostly used powdered base products. This stick is tiny. And by tiny, I mean about half the size of the Vapour stick. True to its name, it is chubby, which makes it easier for a more haphazard application to cover broader areas. 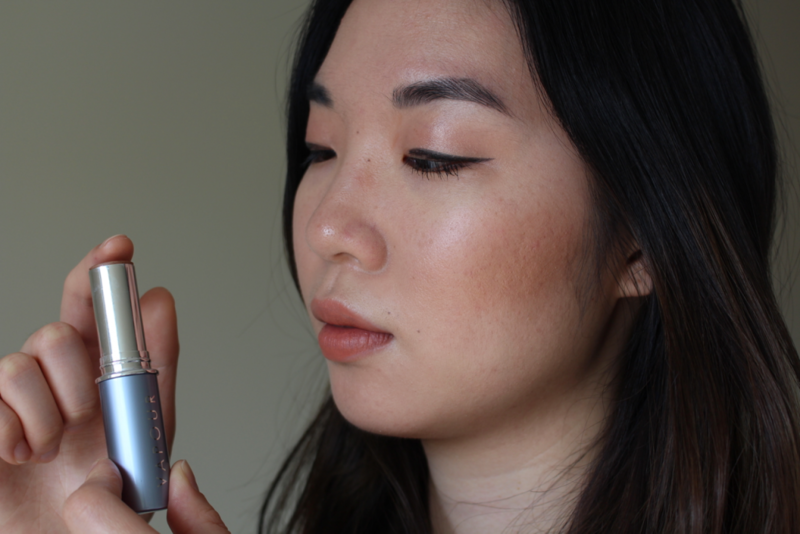 The texture is much smoother–it’s easy to glide it directly on the skin (not my favorite mode as my foundation ends up on the stick) or rubbed onto fingers. Upon application, it looks more pigmented than the Vapour bronzer. A con about this is that similar to the powder, it comes in one shade, which depending on your skintone may be too dark or too light. For my light-medium skintone, it is just right. This is also a friendly choice for those who avoid coconut oil in their makeup, and like the Vapour, has a fair amount of moisturizing ingredients (waxes, jojoba oil, olive oil, green tea oil, aloe leaf extract). I first bought the rms beauty Buriti Bronzer shortly after its release, almost three years ago now. 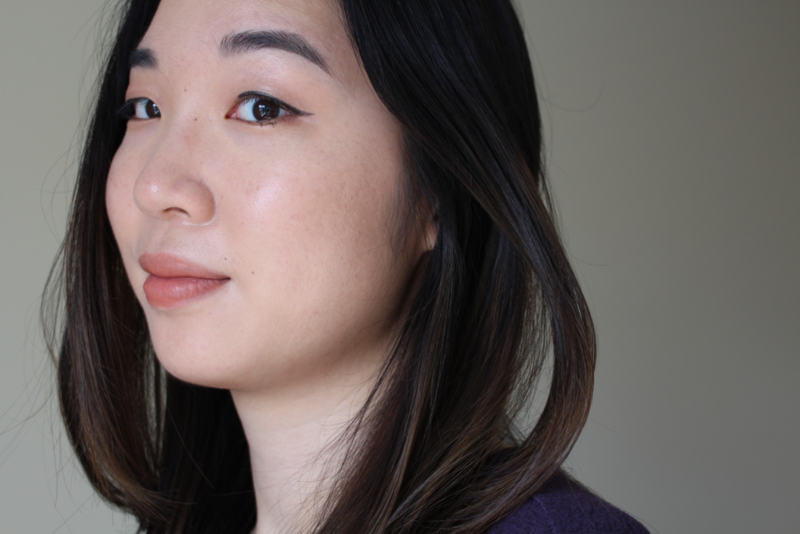 At the time, I still had a lot of hyperpigmentation post-acne, and applying bronzer on my cheeks tended to bring back out the redness I tried to hide with my foundation, so I’ve never been able to finish it before expiration. 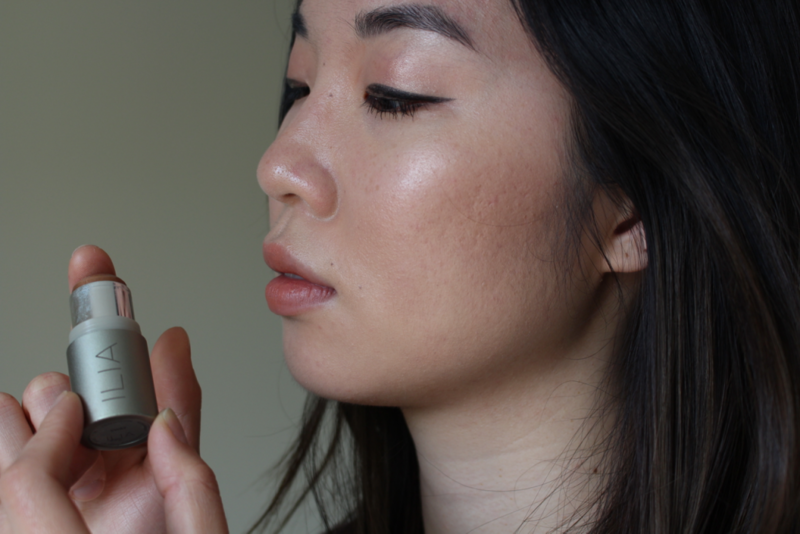 Like the W3ll People Bio Bronzer, the texture does not need much warming up (though that does depend on the time of the year), and like the Vapour bronzer (maybe even more so), it takes some layering of the product to really see it on the skin. Also like the W3ll People, this only comes in one shade, which does work with my skintone. The size is pretty standard for most rms beauty products: 0.20oz/5.67g which is a bit less than the Vapour, even though it looks a lot smaller in the pot. While I don’t mind applying with my hands when I’m doing my makeup in the morning, the pot doesn’t lend well to reapplication throughout the day unless you have clean hands or brushes on hand. Like most rms products, the Buriti Bronzer strongly features coconut oil. You’ll notice a theme going on here: a mix of oils (coconut, jojoba, buriti), waxes (beeswax) and butters (cocoa seed butter). The texture is slightly less glidable than the W3ll People which I don’t mind, and I typically like to apply straight from the stick. This one has slightly more product than the W3ll People at 0.176oz/5g and somehow less than the rms, which I wouldn’t have guessed just placing the two products side by side. This has a pretty similar ingredients list as the rms, with coconut oil swapped out for sunflower seed oil. Again, we’ve got our oils (sunflower, castor, sesame, avocado), waxes (beeswax, candelilla, orange) and butters (cocoa, shea). Overall, it’s hard to pick a favorite. It depends on what you’re looking for. Want something that’s easy to apply and not overdo? Go for rms. Want something petite and pigmented? W3ll People. More product? Vapour. All of the prices are pretty comparable, ranging from mid 20’s to mid 30’s. 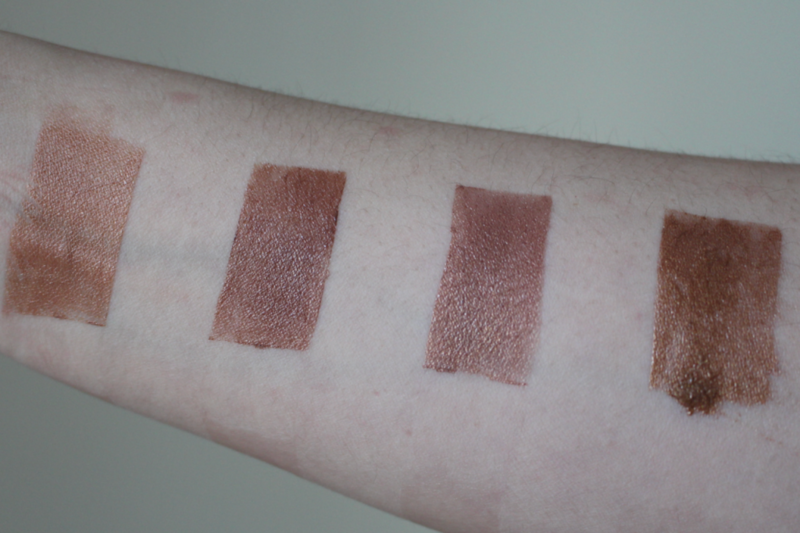 When seeing the swatches side by side, you can see that the Vapour is the lightest, with some golden tinges. The W3ll People and rms are nearly identical, and Ilia’s is barely the darkest. Each of them have a bit of shine and shimmer, but I wouldn’t say any of them are tacky in any way. Do you have a favorite bronzer out of the ones mentioned? If so, I’d love to hear your thoughts. Else, I’d love to know what you’re using and loving. Disclaimer: Mostly said in the preface, but I’ll repeat it again here. This is a sponsored post by Follain, and I am being compensated for this post. That being said, all opinions expressed in this post are my own. I used the natural lighting streaming through my windows and my DSLR camera with no retouching on the photos, so you can see my real, imperfect skin in all of its unevenly textured glory.